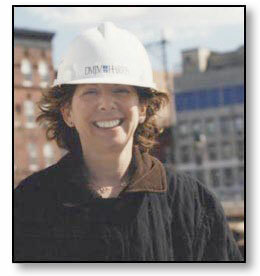 Trix Rosen Architectural Historic Preservation Photography biography. Trix Rosen, an award-winning New York-based photographer and photojournalist, has specialized in documenting restoration and historic preservation projects for more than a decade. Working closely with architects, architectural historians, conservators, archaeologists, consultants, and construction companies, she utilizes large-format film cameras and digital cameras to produce HABS/HAER documentation for the Library of Congress and SHPO (State Historic Preservation Offices), and editorial and magazine images for her clients. With her passion, skill and breadth of experience, Trix captures the story at the heart of every restoration or preservation project as well as the singular details which make every building unique. The Sage Allen Building, Hartford, Ct.